RES was founded by John B. “Bob” Roddey. Bob has dedicated most of his 50-plus year career to the petroleum refining and petrochemical industries with an emphasis on catalytic reforming, hydroprocessing, hydrocracking, and lubes. The first 20 years of his career, Bob was employed by UOP. During that time, Bob was heavily involved with the design, start up, and troubleshooting of refining and petrochemical units all over the globe. Bob’s hard work, technical expertise, and hands-on experience led to his advancement as the District Service Manager for the UOP Houston office. After leaving UOP, Bob joined Pennzoil Company as the Chief Process Engineer working on the installation of their refinery and Lube unit in Shreveport. When the units were built, he was promoted to Operations Manager and served in this capacity until the units were started up. In 1985, Bob left Pennzoil and started Roddey Engineering Services and has spent the last 25-plus years focused on growing a company that provides quality engineering designs and technical advice to the refining and petrochemical industries. Bob’s dedication to the industry has been most clearly demonstrated in his service the American Fuels and Petrochemical Association (formerly the NPRA). During his career, he served as a panel member for the Q&A conference (1979), a permanent member of the Q&A Screening committee, and represents RES at the Board of Directors meetings. The crowning achievement of his long and distinguished career came in 2003 when was one of the first recipients of the NPRA’s Lifetime Service award. This achievement speaks to what Bob and RES has committed to provide to all of their customers – quality service. Michael Newton serves as Senior Vice President of Roddey Engineering Services and manages the day to day operations. Mr. Newton’s areas of knowledge include fuels and lubricants refineries, project management, commercial development and plant economics. Mr. Newton holds a bachelor of science in chemical engineering from Louisiana Tech University and is currently pursuing a master of science in engineering and technology management. He is a registered professional engineer in nine states including Texas, Louisiana and Arkansas. 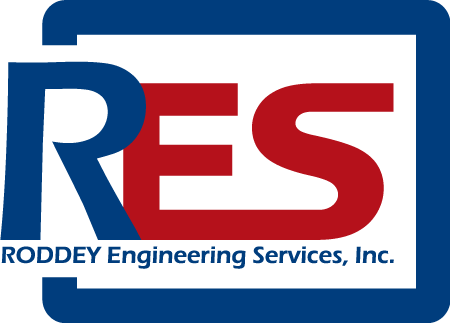 Clay Marbry serves as Process Engineering Manager for Roddey Engineering Services. Prior to joining RES, Mr. Marbry worked as a process engineer for two different chemical companies, supporting polymer and specialty chemical production through process improvements and capital projects. Mr. Marbry holds a bachelor of science in chemical engineering from Louisiana Tech.